Shawls have made a comeback as a knitting project that is both enjoyable to make and to wear. With these shawl knitting patterns, you can make stylish and useful accessories in all kinds of shapes and sizes. Although you may think of shawls draped over shoulders, perhaps paired with a rocking chair, they look great in a new and modern way. Especially when worn wrapped like a scarf or draped more on one shoulder than the other. This pattern list includes triangles, rectangles, crescents, asymmetrical designs, and a mixture of all those things. And the sizes range from small shawlettes to oversized wraps. Find your favorite style and get ready to cast on! With a style that works for both casual and dressed up occasions, the Xenia shawl combines simple stockinette with a few contrasting rows and some beautiful lace. The pattern includes instructions for working in one or two colors so you can choose if you want the striping or something simpler. This free pattern starts at the top center, then works its way down to create a triangle. The name "Skoosh!" means "something very easy" in Scottish, making it perfect for beginners. It's also worked with Aran weight yarn so it knits up quickly and will keep you warm and cozy. Grab some gorgeous yarn and knit up this soft shawl that's perfect for all seasons. Berroco Yarn shares this free pattern with a recommendation for their alpaca blend yarn for a drape you'll love. And with the rectangular shape, you can wear this wrapped around your shoulders or looped around your neck like a scarf. When you have a special skein of yarn, but only one, a shawlette is a great option. It's smaller than most shawls, but still fun to wear. This beautiful free pattern from Marly Birdincludes both charts and written instructions for the lace section at the back. Continue to 5 of 12 below. This shawl is practically a blanket, making it perfect to wear with your favorite jeans and T-shirt. It's also a helpful piece to wear in a cool movie theater, and it will keep you cozy as you knit. If the oversized style is a bit much for you, Jessica from Mama in a Stitch also has a smaller, similar pattern for a scarf. There's something beautiful about colors fading into each other, and this shawl helps you create that ombré effect. Color fade shawls are a popular knit, and this one takes the fade and works it over a rectangular shawl with pointed ends. It's also asymmetrical, with some lace sections and shaping that make it interesting to knit. Similar to a color fade shawl, this pattern uses just two colors of yarn but works them in a way that creates a third color. 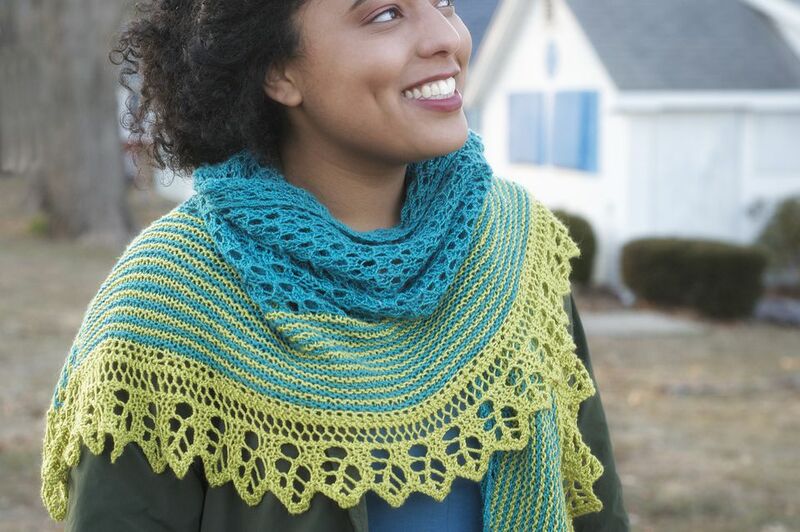 The top-down triangle shawl starts with a solid color lace section, changes to alternating rows of garter stitch in two colors, then ends with a lace section in the second color. Of course, you can work this in your own color choices, but there's something magical about this blending! What started as an experiment in knitting geometry turned into a modern shawl with fantastic texture. The size is generous without becoming too big to handle, and a chain edging that you work along with the rest of the knitting hides all the increases. Continue to 9 of 12 below. Many shawl patterns make it easy to adjust the size a little by stopping early or adding a few sections, but unless you understand the math, the results vary. Helen Stewart solves that and provides you with three sizes in one pattern: shawlette, medium, and large. Why not knit one of each? This shawl isn't just for staying warm and looking good; it also keeps you covered while nursing. A button in one corner lets you wrap the shawl and keep it in place, buttoning into any of the yarn overs in the lace. That same buttoning feature can lead to lots of ways to style it for everyday wear. Knifty Knittings offers this free pattern for a shawl with a traditional feel. 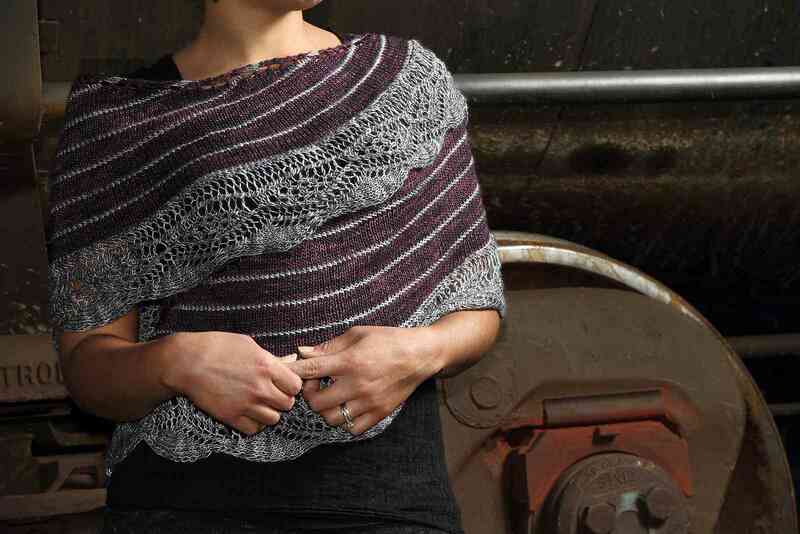 The Juniper Shawl has a crescent shape that's worked in stockinette and a leaf and berry motif lace edge. Knit one for yourself or as a gift for a special someone! The Vane Shawl has the laciest look of all the shawls in this list and that's due to both the large lace edge and the light and airy yarn. It looks delicate, making this a good choice to wear with formal wear or even as a bridal accessory. Make These Amazing Arm Knitting Patterns Without Needles!